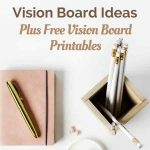 Are you looking for gifts that will inspire and encourage creativity in your children? Educational gifts can do both. They can be fun and help expand your child’s imagination. Educational gifts can help your child create and build new things and grow your child’s creativity. Educational gifts can include Legos, science projects, tinker toys, all types of building projects, learning to write computer programs and more. The Sherlock – solve mysteries like Sherlock Holmes. Check out the clues and solve the puzzle. The Jam Stick – a smart guitar. If your child loves music and wants to learn guitar this “smart” guitar might help, using apps from a phone or tablet it will help your child learn to play the guitar. Rock Me Archimedes – are you up for the challenge? Can you keep the balance while moving your marbles across the board? A game that’s part luck and part strategy and always fun. 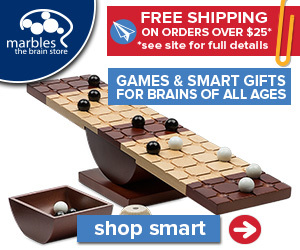 Marbles the Brain store is filled with inspiring and interesting toys and games your children will play again and again. Learn for a Lifetime with Udemy. You will find hundreds of online courses covering many different topics. You can learn to play a guitar, learn to program computers, and so much more. If would like to encourage creative learning, Udemy online classes are great start. Since they are online, you can watch them over again if needed. Growing up, Highlights Magazine was my favorite magazine. I loved getting a copy every month and doing the search in the funny picture for things out of place, reading the stories and doing the activities. Highlights Magazine is a fun learning magazine you and your child can enjoy every month. Preschoolers can learn geometric shapes and colors with this Shape and Color Stack Sorter. Hours of fun learning colors and shapes and matching the right shapes together. Is your child interested in learning about circuits and electricity? This Snap Circuits Jr is a great first learning tool to learn how circuits work. You can also get a larger set of 300 pieces. Educational gifts don’t have to be boring. You can find many fun and creative gifts your child will enjoy that will also enhance their learning.